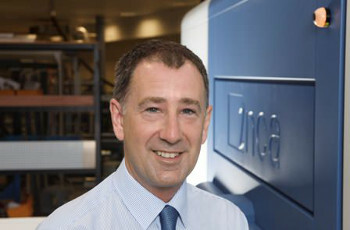 John Mills2nd April, Cambridge, UK - Inca Digital, the inkjet printing specialist, today announces the appointment of Dr John Mills as CEO with immediate effect. John has extensive experience of developing and commercialising advanced industrial technologies, specifically in the fields of inkjet and plastic electronics. Holding a PhD in Physics, his senior roles have included Director of Development with Domino Printing Sciences, Vice President and COO at Plastic Logic and, for the last four and a half years, CEO of DataLase.